a Japanese embassy release stated yesterday. The release adds: Akashi will meet government officials and representatives of the ruling and opposition parties as well as members of civil societies, and emphasize the importance of national reconciliation toward the establishment of lasting peace. He is also scheduled to visit the Northern Province of Sri Lanka to study the latest developments in the conflict-stricken zone. The government of Japan considers that consequent to the end of the armed conflict of more than 25 years in May 2009, the government of Sri Lanka is tackling post-conflict issues such as the resettlement of IDPs, reintegration of ex - LTTE combatants, rehabilitation and reconstruction in the conflict-affected areas; the national action plan to implement recommendations of the Lessons Learnt and Reconciliation Commission has been also released recently. 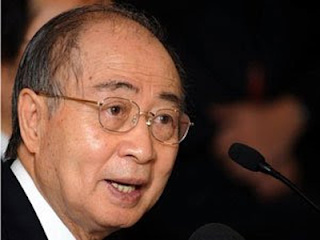 Following these developments, the Government of Japan has decided to dispatch Yasushi Akashi, Representative of the Government of Japan for Peace-Building, Rehabilitation and Reconstruction in Sri Lanka to Sri Lanka from August 21 to 26.